protect workers from falling soil. 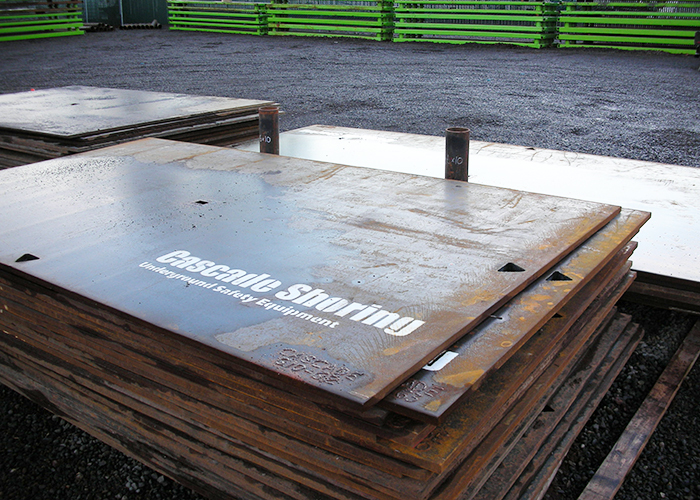 Lightweight, stackable shields are 4’, 6’ and 8’ tall and are customizable by using the Build-a-Shield system. 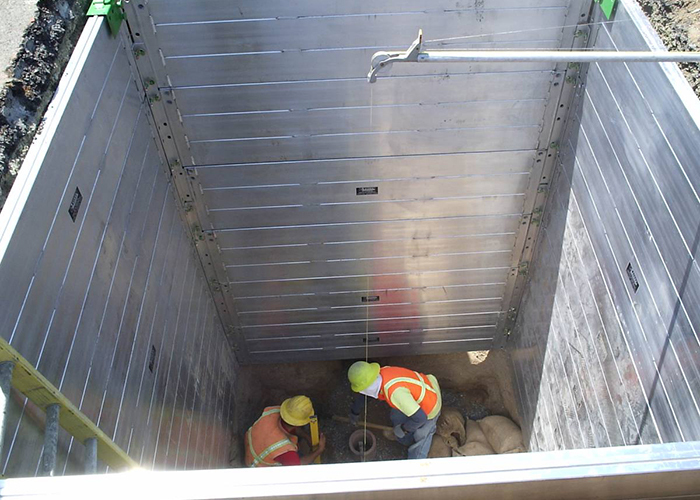 Our well-maintained shores prevent soil collapse and are consistently tested. Cylinder extensions available. 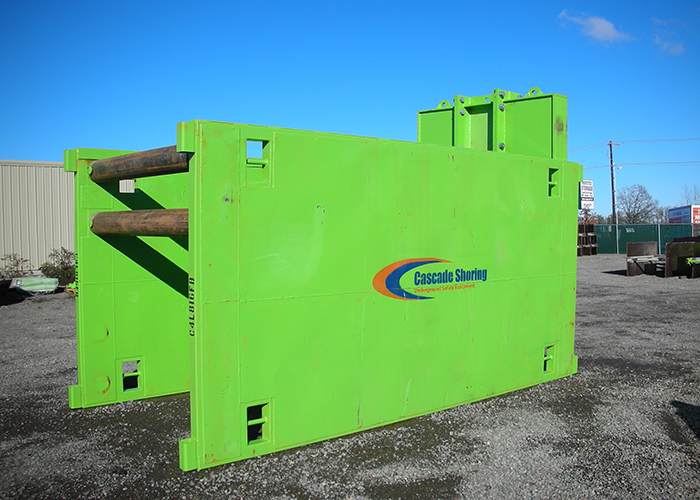 An economical, customizable alternative to sheet piling, perfect for manholes, pump stations, and bore pits. 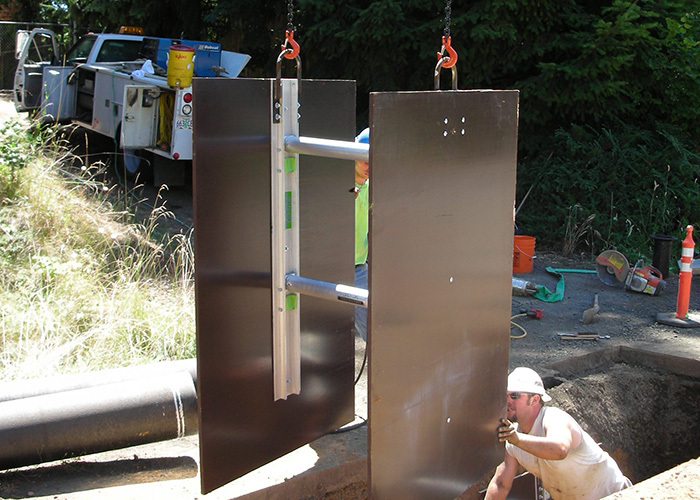 Keep workers safe with blowers, winch systems, and gas monitors. 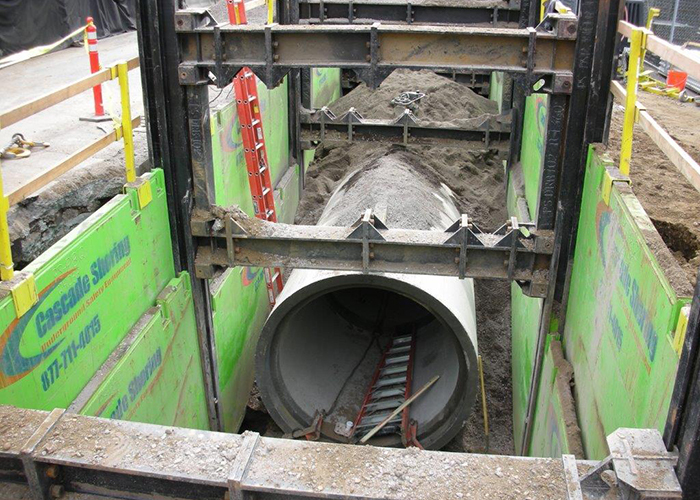 Span trenches up to 52`` for shoring, end plates, and temporary roads.